Arvest Bank Theatre at the Midland was host to Shinedown on a hot August evening in Kansas City where the Florida quartet drew a capacity crowd. The #ShinedownVacuum™ made its usual appearance and was greeted with cheers from the crowd. Moments later, singer Brent Smith, guitarist Zach Myers, drummer Barry Kerch and bassist Eric Bass launched into the opening ‘Asking For It’ and followed with an inspiring set list of 18 additional hits including ‘45’, ‘Enemies’, and ‘Devour’. There was no uncertainty that Shinedown loves what they do and it’s no wonder the crowd at the Midland obviously loved every minute of it. RockRevolt™ photographer, John Thornbrugh was in the house to bring you the following pictures from the pit! Whether there is rock, metal, or any variation of music in between, you can certainly see John Thornbrugh behind the camera at most concerts. John takes his passion for photography to a level rarely seen by most others. The sights he purveys through his lens makes you imagine the sounds he hears as they are happening. Killer shots are what matters to John the most, but making sure the viewer sees what he hears is just as important and it shows through Johns work. 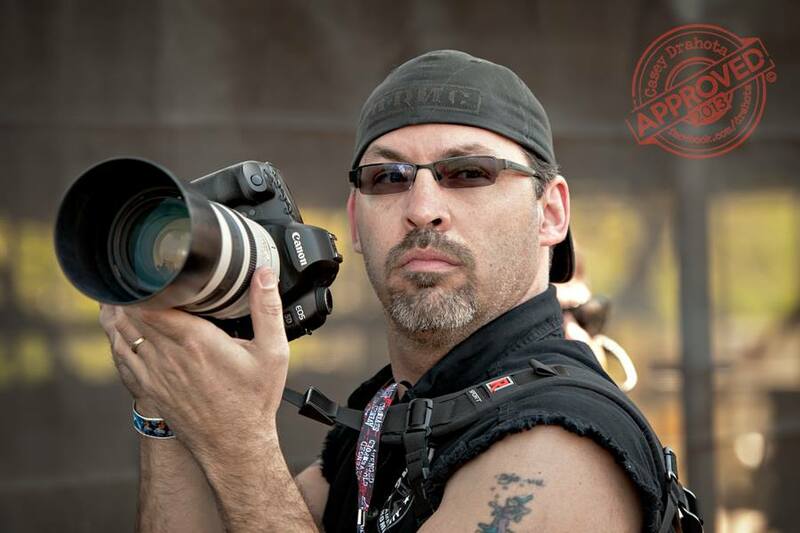 You can catch John shooting most of the rock shows in Kansas City and surrounding areas. Most of the time he has his camera up to his eye, waiting for that next awe-inspiring shot. But don’t be fooled, John is one of the most approachable photographers out there. Ready to share his wealth of knowledge, John certainly makes sure you understand bands and fans alike will ever remember his passion and getting those shots that stand out and satisfy our inner desires for great photos.